It was funny though because something hit me so clearly when I was talking to one of the youth today. The issue came up of how quickly mistakes can be made to ruin all sorts of trust. Of course, trust is something that is build up, takes time to earn from people & it doesnt take that much of a big mistake to break trust.... & if it IS a big mistake, its even harder for trust to be regained again. My mind works in the world of yarn... beautiful merino, cottons, alpaca... aahh... OH - sorry! I'm drifting off into this world again. And if you ignore those snags, they just get pulled further & further making MORE of a mess! & know that if its a relationship with HIM, He's the Master of Knitting! He knit us together in the womb afterall!!! He can truly master that mend! That baby blanket is gorgeous...I can't believe you made it yourself! 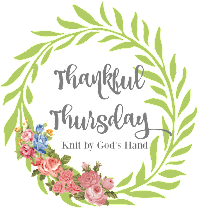 Yes, I am so thankful that God is the mender of broken hearts, souls, and lives! Great post, Rebecca, and oh so true. How easy it is to just throw it away (whatever "it" is) when you've made a mess of it, instead of trying to work things out and begin again. I'm just as guilty of that as the next person. Thank God that He is so faithful to stand by us, no matter how many snags we get in our lives. I'm in awe of your knitting abilities! That blanket is gorgeous! Well done. I love how you have such "everyday" happenings spun into a little bit of Daily Gospel! Helps me to remember to be joyful and grateful! By the way--I love that blanket!! Love that blanket. I have always wanted to learn how to knit. I can crochet that's the extent of my craftiness. Excellent post... most people would feel like they had to throw a snagged piece away... but the CREATOR knows how to mend EVERYTHING!!! And there is NOTHING wrong with living in the world of yarn... it is a fuzzy, soft, and warm place to be! I too love the blanket! My hand made items from you and aunt nanny are so wonderful. I know that Emily will love them too!! What a great analogy. No matter how you put it, it is wonderful to know that He is there to help you pick up the pieces, or mend the snag, and start all over again. Beautiful blanket, and I love how you turned it into an illustration! First...I LOVE that blanket!!! Wowsa!!! Second, I totally understand what you mean about fixing the mistake as soon as possible. I try to encourage my children to communicate...respectfully of course, but as quickly as possible so we can clear the air and work towards rectifying a situation. Boy, I needed this today, SO much. Thank you RJ! That blanket is so beautiful! Maybe I need to take up knitting! lol Keep my hands busy! Oh wow that is beautiful! Great job! Wow that blanket is amazing! Good job! And yes, I know the disaster that can happen so easily while knitting! Yet another perfect analogy! You always make my day so much better! and i am SO impressed with the knitting skillz! You are truly amazing! I love how your mind works! Word pictures are so awesome and they stick with you don't they! Loved your post! What a sweet baby blanket :) I have relationships with my in-laws that are broken and are in need of mending by God, so your post spoke to me today! Hope that you are having a good week. You are incredibly talented- both at knitting and at writing! Great post..